While the F-PACE is expected to be somewhat of a compact crossover, Jaguar is planning on expanding its lineup to include a mid-sized and large SUV. They aren’t official yet, but according to Carwow from the UK, the automaker is producing an E-PACE and a J-PACE . This Evoque sized SUV is expected to be sold at a lower level than the F-PACE . It’s going to be an affordable alternative to the F-PACE that Jaguar expects to be the most successful of all the SUVs that it sells to customers. 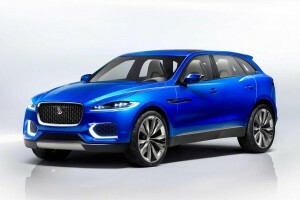 Jaguar is simply offering the different SUVs to appeal to a wider group of customers. Not everyone is going to want an SUV the size of the F-PACE , and that’s precisely why the company is planning on the alternative sized vehicles as well. The three options will give Jaguar fans something to choose from and should help the company get a bit more of the market share so that it can really dig in within the United States and strengthen its offerings. It’s likely that these SUVs would be offered even later on down the road than the F-PACE . A 2018 launch wouldn’t be inconceivable for these vehicles, but it’s hard to put a timeline on a project that Jaguar hasn’t even officially announced yet.